This machine is ideal for the printing entrepreneur! What does it do? The Easy Folding Machine has been designed from the ground up to be a useful and productive addition to any print room. It can take a stack of paper from around 60gsm to around 180gsm and fold it in a number of ways.. The Easy Folder will fold most fold patterns including half fold, letter fold, Z fold, gate fold, engineer fold and double fold. The only limit is that the minimum fold length is 4cm.. 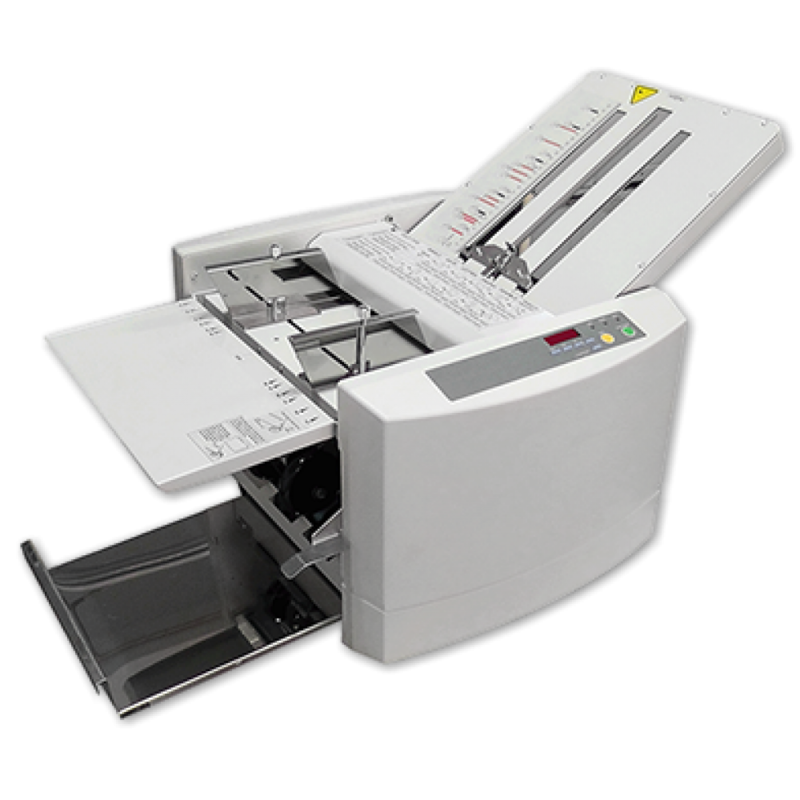 The Easy Folding Machine is simple to use and has most common folds printed on the in feed tray. It has a counter which can be set to up to 9999. Up to 9000 A5 sheets per hour can be folded with this speedy machine so true productivity can be achieved. A floating sheet separator is integrated into the design to ensure minimal jams and double feeds plus a skew adjustment to correct paper and print skew. With over 20 years of experience in the digital printing and prepress industry you can be sure we will always be willing and able to help and support you and your investment. During these years X-Press OnDemand have led the small digital press market and created many highly successful products that many of our competitors have sought to imitate. Call 0117 9401 402 now to arrange a demonstration and take your business to the next level!